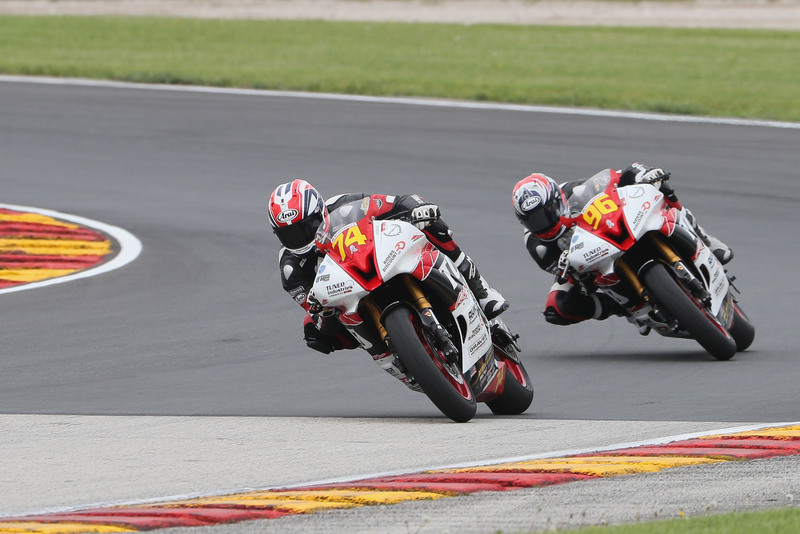 Bryce Prince (74) and Jason Aguilar (96) at Road America. Photo by Brian J. Nelson. ELKHART LAKE, Wis. (June 7, 2016) — Riders Discount/Tuned Racing took three more podiums this weekend at Road America. Rider Bryce Prince finished second in Superstock 600 race one. Race two saw Prince finish at the top of the podium while teammate Jason Aguilar took the third spot on the podium. Prince now carries a 65 point lead to round five of the Superstock 600 Championship. Rider Jason Aguilar had a strong race two, securing the last spot on the podium next to his teammate. Aguilar is looking forward to continuing this success at Barber Motorsports Park in Alabama this weekend.